The World Championship starts in a few hours and Shamoon Hafez (BBC) has been interviewing some if the main contenders. Five-time champion Ronnie O’Sullivan says “more pressure” can be “better” as he aims for a record 37th ranking title at the World Championship, which starts at the Crucible Theatre on Saturday. 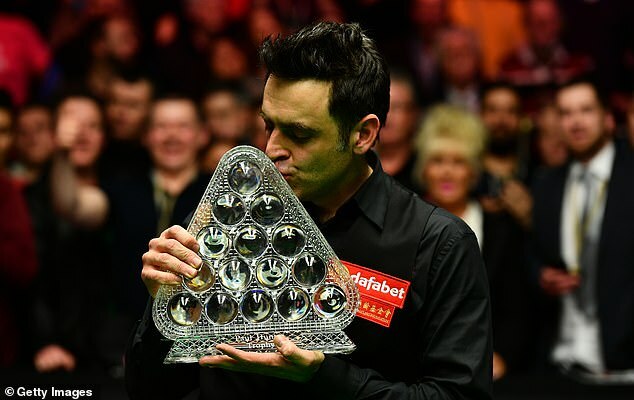 O’Sullivan has had a stellar season, returning to number one in the world, winning five events and is favourite to claim the trophy in Sheffield. 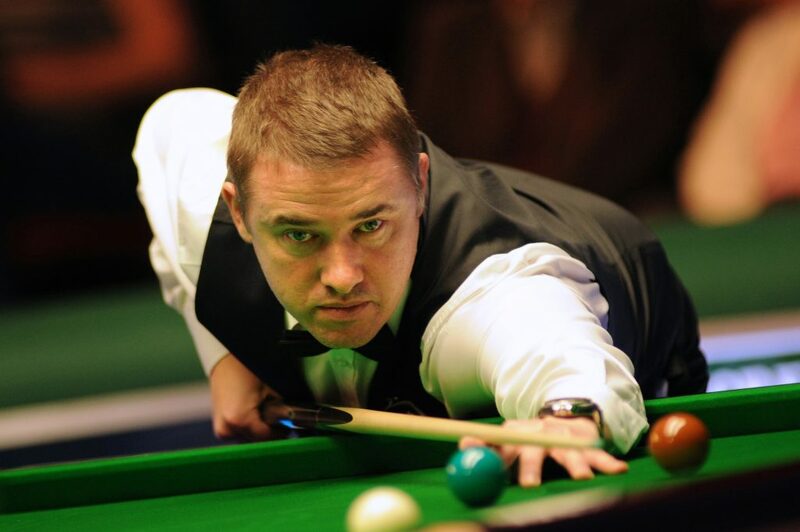 The 43-year-old Englishman is tied with Scotsman Stephen Hendry on 36 titles and faces a first-round tie against James Cahill – the first amateur to qualify for the event. “If you don’t feel pressure you are probably not going to perform well,” said O’Sullivan. “People say ‘there is too much pressure’ but I don’t understand that. If I said to someone, ‘you have 24 hours to get out of this room or your life will end’, you will probably find a way out. 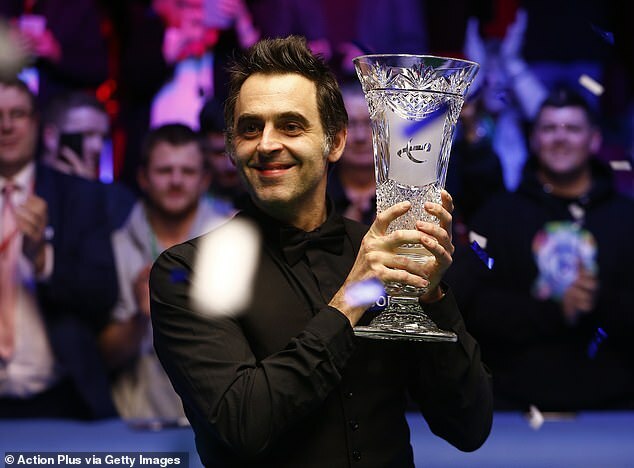 ‘The Rocket’ has entered just 10 tournaments this season but claimed the invitational Shanghai Masters and Champion of Champions, as well as the three ranking titles – the UK Championship, Players Championship and Tour Championship. His victory over Neil Robertson in the latter took him to world number one again for the first time since 2010. He also became the first player to compile 1,000 career centuries and went past the £10m career prize money landmark, while a run to the semi-finals in Sheffield will see him become the first player to earn more than £1m in a single season. O’Sullivan, who begins his campaign on Monday, said: “It is difficult to share the enthusiasm when you are not driven by records. If you ask me how my year has been, I would say it was fantastic, not because of the titles and records, but I have had a really good year, that is how I value my life. A record six Chinese players will appear at the Crucible, the highest ranked being Ding Junhui, who was runner-up in 2016, and faces Scotland’s Anthony McGill in the first round. The tournament will also see seven debutants – the most in 20 years – including the first from Cyprus in Michael Georgiou, who comes up against Neil Robertson on the opening day. Australia’s Robertson has been in superb form, reaching the final of the past four tournaments, winning the China Open, but has not triumphed at snooker’s showpiece event since 2010. He told BBC Sport: “My game has never been in better shape having won the previous tournament before. I still had enough time to relax and chill out. Masters champion Judd Trump begins against Thailand’s Thepchaiya Un-Nooh on Tuesday and unlike Robertson, is in a tough half of the draw which features O’Sullivan, three-time winner Mark Selby and Ding. Trump told BBC Sport: “I would rather play and get through against the top players. There is a lot less expectation coming through that bottom half and if you get through and become world champion then you fully deserve it. “I am quite happy with the draw, I play my best against the top players. I don’t want to win the world with an easy draw, I want to play Ding in the second round, Ronnie in the quarters and Selby in the semis, that would be my dream line-up. Mark Williams will defend his title against qualifier Martin Gould to a finish on the opening day but claimed World Snooker would not be keen to see him win again. “They don’t want a 44-year-old has-been winning the tournament,” the Welshman said. “They want a youngster coming through who they can get behind and who will push the sport. It’s not great that Mark Williams is feeling this way, but I can understand why he does. He’s completely in the background, whilst Mark Selby who has not done much at all this season in right in front. Mark Also wasn’t on the cover of the new game “Snooker 19” that Worldsnooker is promoting. That’s hard to understand unless Mark is indeed right. In my opinion he’s been a great World Champion but that view may not be shared by everyone. There is a trend now to ask sportsperson to be “Mr/Mrs Perfect”. Well spending the whole year celebrating on social media with a lot of drinking involved, and getting in trouble in Dubai for being too explicitly flirty (with his own wife BTW) may not be what’s expected of Mr Perfect. But what Mark certainly has done, and I believe it’s much more important than being Mr Perfect, is being a champion to which the man and woman of the street can relate/identify. Because, we, real humans in real life, we are not “Perfect” and it’s hard to relate to an image that bears no “reality”. Traditionally the Friday before the World Championship is the Press Day. The top 16, the officials and the sponsor meet the members of the press. As always, Ronnie sounds a bit low-key, but I honestly believe that this is part of trying to ease the weight of expectations a bit. Four players head to the Crucible from this Saturday looking not only to claim the Betfred World Snooker Championship title, but also to end the season as snooker’s world number one ranked player. For the last seven successive seasons the honour has gone to three-time world champion Mark Selby, however having already been deposed as world number one by Ronnie O’Sullivan in recent weeks and with the prize money from his 2017 Crucible success due to fall from him ranking, there is a real possibility that this run will come to an end this year. 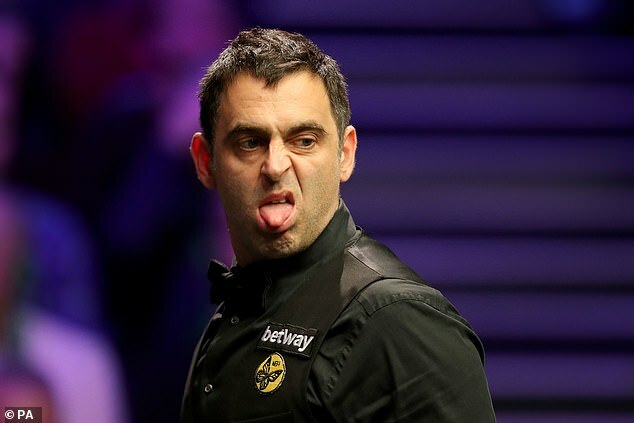 Leading the race to finish the campaign ranked at number one for the first time since the end of the 2009/10 season is current top ranked player Ronnie O’Sullivan. The five-time world champion heads to Sheffield with a provisional total of £1,196,500 to his name, almost £200,000 clear of his closest rival. Leading the chase is defending champion Mark Williams, who is the only player other than Ronnie whose prospects of claiming top spot remains in his own hands. This is because winning the tournament once again would guarantee that the Welshman would return to the top of the list, even if O’Sullivan were to reach the final. The other two players who can still mathematically regain top spot are Neil Robertson and Mark Selby, however both would need some help by way of an early exit for O’Sullivan. Both players would in fact need to win the tournament to stand any possible chance of leapfrogging the top two, with O’Sullivan also losing before the semi-final stage. If O’Sullivan were to reach the last four, only Williams would be able to deny him a place at the top of the season-end rankings for what would be the sixth time in his career, while Williams is looking to finish there for a fifth time. Also a £50000 prize has been announced for a 147 at the Crucible. The prize for making a maximum break at the 2019 Betfred World Championship will be £50,000. Snooker’s biggest tournament starts on Saturday and runs for 17 days, with 32 players battling for the title. And a 147 at the Crucible will be worth a £50,000 bonus. Maximum breaks are usually rewarded from the rolling pot for 147s but with that pot down to £5,000 following Stuart Bingham’s maximum at the China Open, World Snooker and WPBSA have decided to boost the prize up to £50,000. There is also a high break prize of £10,000. Yes, that’s 7 years ago. A maximum at the Crucible remains a rarity because a number of factors, notably the pressure because of the importance of the event and of course nobody will take unduly risks . With the big bonus gone, there wasn’t much incentive for the players to try to make one. They finally understood that it seems. And everyone else has been doing previews. Here is mine. As announced today, Ronnie has signed a three years deal with Eurosport. He’s also given a quite lenghty (by his standards) and good interview. Whilst others are getting ready for the last event before the Crucible, Ronnie has been busy cooking, planning a break and Crucible practice and, finally, acknowledging his own status in the sport. Ronnie has shared those images on social media, hinting at a big announcement. If the tags accompanying the images are anything to go by, this is likely to be related to the imminent publication of his book with Rhiannon Lambert “Top of your game”. According to “The Daily Star”, Ronnie’s plans ahead of the Crucible are to chill out with a mate, and go for a bit of fresh air and sailing, before heading to Sheffield for his preparation and practice ahead of the Crucible. Taking a break isn’t a bad idea IMO. The Tour Championship was pretty intense, the World Championship will be long and demanding. Being fresh heading to the Crucible might prove crucially important. 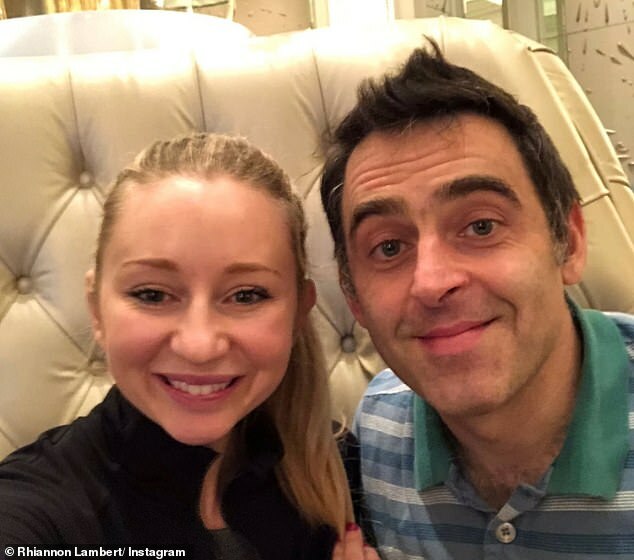 Ronnie O’Sullivan has admitted for the first time he has a right to be called snooker’s GOAT as his golden 27-year career continues to glitter. 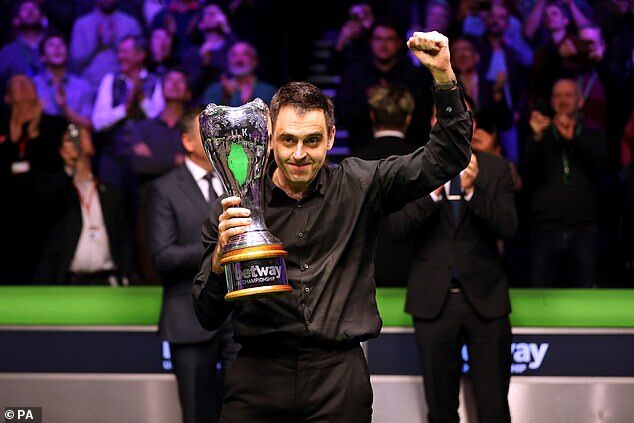 O’Sullivan holds every major record in the sport in the modern era, but continues to be two adrift of the retired Stephen Hendry’s haul of seven world titles ahead of his latest tilt at a sixth world crown next month. But the Essex man believes it is not only the numbers that validate his claim to be called snooker’s greatest of all time after his 13-11 win over 2010 world champion Neil Robertson in last weekend’s Tour Championship final. At the age of 43, O’Sullivan is snooker’s oldest world number one since the 50-year-old six-times world champion Ray Reardon in 1983 after his title success in Llandudno. He has drawn level on 36 ranking event titles with Hendry, a number that could be passed if he wins the World Championship. The five-times world champion believes style, commitment and longevity since he turned professional in 1992 put him above his rivals in the debate about who is the green baize’s best. 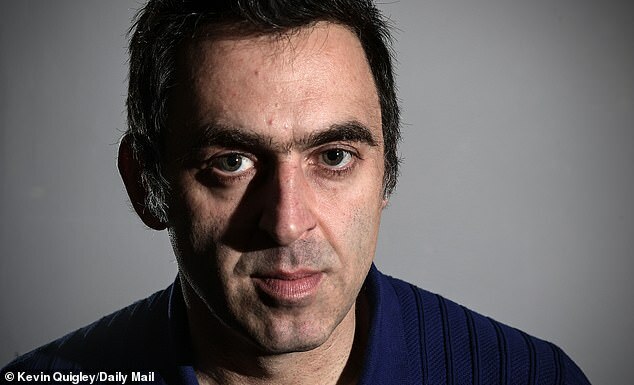 When asked if he thought he was the greatest, O’Sullivan – winner of the world championship in 2001, 2004, 2008, 2012 and 2013 – told Eurosport: “It’s hard to argue against that in many ways, my record speaks for itself. I have every record barring the seven world titles. “I think the thing for me is that I’ve done it in an aggressive, attacking and flamboyant way if you like, and to get results playing that style is never easy. “If I’m not playing well and clearing up in one visit and dominating the table, their confidence grows and find that’s the best way to beat me. Robertson compared O’Sullivan to Roger Federer in tennis after losing to O’Sullivan after seeing him end Selby’s four-year reign as number one despite playing in only seven ranking events this season. “It’s nice when it comes from your peers and they’re probably the most important ones. 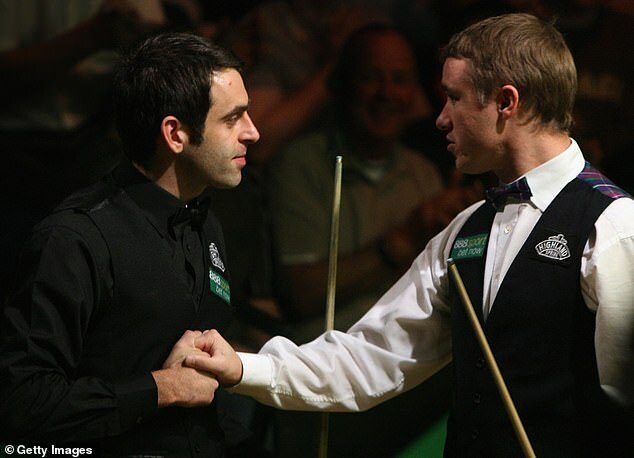 When it comes from someone like Neil or Stephen Hendry or John Higgins it means so much more,” said O’Sullivan. “It’s a bit like saying is (Lionel) Messi really the best player ever because he hasn’t won the World Cup? You can go on and on with that argument. “For me Messi is the greatest player we’ve ever seen. By not winning the World Cup doesn’t change my opinion of him being the best. Check the original article for pictures and videos. The remarkable Ronnie O’Sullivan reached the milestone of 1,000 century breaks with a thrilling 134 to retain the Players Championship in Preston on Sunday. In true O’Sullivan fashion, he even switched to left-handed to roll in the crucial red. 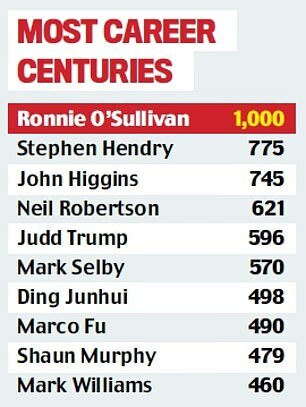 Next best in terms of tons is Stephen Hendry, who hit 775 during his illustrious career, proving that O’Sullivan, 43, is in a league of his own. I had a bit of a calming effect on him. When he couldn’t pot all the balls I showed him there was another side to the game. It was a small department that was missing — he didn’t like playing that way. Over the past 20 years he’s been top notch but he’s a bit better now. He’s got more systems within the system. He sees the game better than anybody, much better than I saw it. The balls open up and he’s so clever and in control of the cue ball. He’s a bit of a genius. He’s the best player I’ve ever seen, when he’s there. Sometimes he’s there in person but his mind’s not on the game, but that’s Ronnie. The main thing is he’s happy. If you’re happy you can play better. Ronnie came to me eight years ago and we instantly formed a rapport. My job is to help people help themselves. It’s easy when you get someone like Ronnie as he’s so keen. He’s worked very hard on the mental skills and continues to do so. It’s no different to the physical — it’s about keeping psychologically fit. Our emotions are usually the beliefs we hold. We make sure these are solid beliefs which are constructive. We stay in touch regularly and he’s doing so well. I think what he’s developed in his own mind is that he’s absolutely driven and determined, but he’s more driven than he was. He’s learnt to gain perspective on things and not be as harsh on himself. We’re hoping he’ll play until he’s 50. That’s our aim. I was a Ronnie fan and when I met him six years ago we became mates. I guess I keep him calm. I get to as many tournaments as I can and he comes to my Hammersmith studio to help me finish paintings. I give him a colour and say: ‘Put some here’. He’s my assistant. Ronnie’s insane. I remember a first-to-nine against John Higgins. He was 8-3 down but said: ‘He twitched, I think I’ve got him’. He lost 9-8 but it was mad — what on earth gives you that feeling? Ronnie’s biggest fear is not knowing when to quit. He has to be top of the game or he won’t be interested. He’s doing a good job selecting when he wants to play and because he’s winning he’s getting the ranking points, but not doing the leg work that everyone else is. He’s happier than I’ve ever seen him. I just want him to be happy. We started working together this season. He wasn’t enjoying playing and I did a test that showed him he wasn’t sighting a straight line. In practice we do around 12 long shots with his eyes shut. When I link him in on the correct line all he has to do is pull the trigger. He’s incredibly focused, a perfectionist. He beats himself up but he’s learning to accept that he can’t do everything. If we can help him become even greater and his long game becomes the best in the world, there’s a big problem for other players. It’s a work in progress but if you saw him in practice you would go: ‘Wow!’ We’re so close, it’s exciting. Can he go for another five years? Without doubt — and that’s what he wants. I started working with Ronnie in September 2017. His mood wasn’t great, he said he was struggling to get motivated and had lost his love for the game. He couldn’t concentrate, had leg injuries from over-training and was gaining weight due to a high fat, high protein, low carbohydrate diet. I stripped back his running and reintroduced carbohydrates for concentration and muscle recovery, and he lost two stones quickly. We cut down his portions, especially healthy fats — he ate three avocados a day. He’s got a healthy routine now — porridge in the morning, snacks when he’s training and healthy alternatives for dinner. He is so organised, making up batches of spices and freezing them for curries he loves cooking with his kids. I’m so proud of him. I know what he’s thinking two or three shots in advance — it’s a snooker brain. When he’s making a century break you look at the balls and see when he’s going to split the reds. It makes commentary very easy! He’s become more of a percentage player. I hate that term because it doesn’t fit Ronnie. He’s still aggressive, but because he’s so good he doesn’t need to take risks anymore. He can wait it out and tie his opponent in knots, then he gets in and the frame’s over. When he’s on form it’s almost perfect snooker. Occasionally you get sports people come along who have that something special — like Seve Ballesteros and Sugar Ray Leonard — and create that buzz when they play. Ronnie is one of those geniuses. He’s threatened to quit but I think that is because he’s not a good traveller. He knows sometimes he has to go to China or wherever for ranking points and when he’s focused, no one has ever been more dedicated than Ronnie. When he does the punditry in the Eurosport studio everybody listens to him, especially the players — Neil Robertson records it. They want to hear his insight because he’s got such a different outlook on the game. That’s why he took it to a new level. His passion for it is second to none. I have known Ronnie since he was 12 and I hope that I am his friend. He’s as mad as a hatter but geniuses often are. He causes me a few problems but I wish I had six players like him. He’s still my favourite and I’d put him above Davis, Hendry and Higgins. It’s that genius that gives him the inconsistency. He’s a one-off. 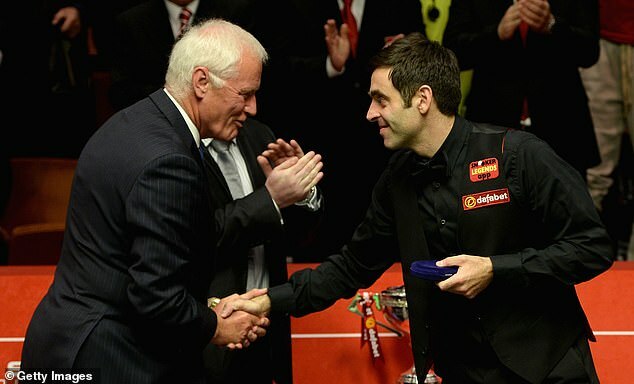 Sport needs personalities and Ronnie breaks all the rules — right-handed or left-handed, a five-and-a-half-minute 147. There’s never been anyone like him. As much as I like to be in control you have to change your thinking with O’Sullivan because of what he brings to the table. Quite often we will disagree. But Ronnie knows that I’m the best in the world at what I do and I am absolutely convinced that he’s the best in the world at what he does. So we have a marriage which may not be made in heaven, but it’s pretty damn close. After Andy Murray’s defeat at the Australian Open, after showing tremendous heart and determination on the court, many sportspersons reacted, showing admiration and support. Ronnie O’Sullivan has admitted to being “lazy” in snooker but praised the approach of “ruthless animal” Andy Murray who “broke the mould” in tennis. Britain’s Murray, 31, said on Friday he will retire this year because of pain caused by a chronic hip problem. But at the Australian Open on Monday he said he will make a decision in a “week or two” whether to have hip surgery. “It takes a special type of courage and character to do what he has done,” said O’Sullivan, 43. Murray beat Novak Djokovic in 2013 to end Britain’s 77-year wait for a men’s champion at Wimbledon, and went on to claim a second title three years later. He also won the 2012 US Open, as well as two Olympic gold medals. 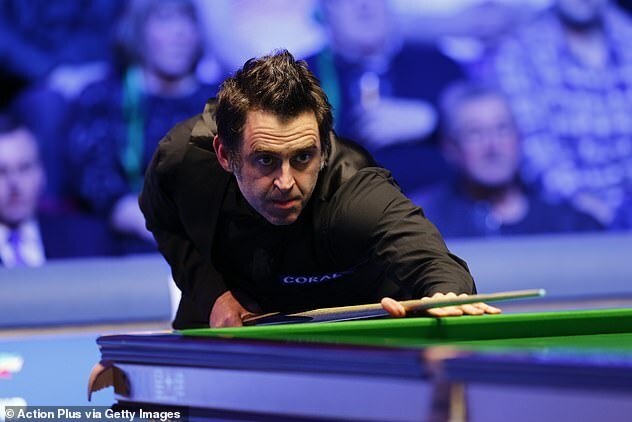 O’Sullivan, widely regarded as the best snooker player of all time, compared Murray to snooker’s seven-time world champion Stephen Hendry and six-time winner Steve Davis. Speaking after his first-round win at the Masters in London, he said: “Hendry and Davis broke the mould. No-one has come into the game and dominated the game like that. I haven’t, I have had longevity. “You have to take your hat off to Andy. It is a subconscious thing in tennis or football that you are conditioned to losing – reaching the semi-finals is a good result. “He has been strong enough to say ‘no I am not going to accept that’. I am not a ruthless animal like Murray. “Sometimes I will look at it and think if I lose in the quarter-finals then I can have five or six days off and chill out, do a bit of commentary. “That is not a ruthless attitude, I am a bit lazy and do what I can to get through. I am one of those kids at school that finds out what they need to do to pass the exam and does enough – that is what I do with my snooker. “I am not a slave to it but I like to grow as a person and learn from other people. Amazing though how they always seem to find something negative to put forward … the first sentence isn’t about Ronnie’s praise of Andy Murray, it’s about him being “lazy”! Well, personally, I think Ronnie was genuine in his praise, and Andy Murray deserves only respect and admiration for what he did on and off the court. I wish him the best, first and foremost to be able to enjoy his life without pain nor unbearable limitations. 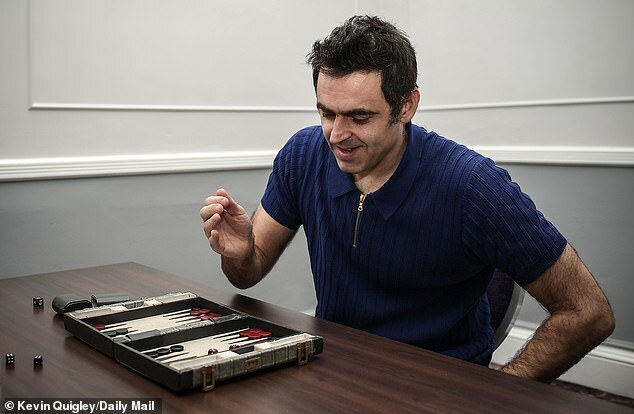 As for Ronnie, he may indeed not be as ruthless as Steve Davis and Stephen Hendry were, but to me, it’s precisely because he’s a bit softer on himself that he is still competing at the highest level at 43 (and counting). Anyone who ever did endurance sports – hiking over several days for instance – will know that managing your efforts and resting your body and mind at the right times is key to achieving the goal eventually. 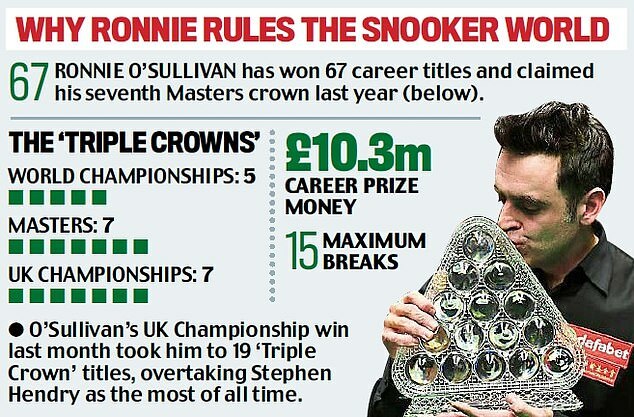 The Masters 2019 is upon us, it starts on Sunday, and inevitably Ronnie is in the news. He’s won this tournament a record seven times, over the last fifteen years, he’s made it to 9 finals, in fourteen participation and won it six times. So it’s no wonder that the press will want to speak to him in the build-up. And now of course, having won the UK championship for the seventh time before Christmas, bringing his number of “Triple Crowns” to nineteen and having superseded Stephen Hendry’s tally in the process, he’s largely recognised as the greatest. 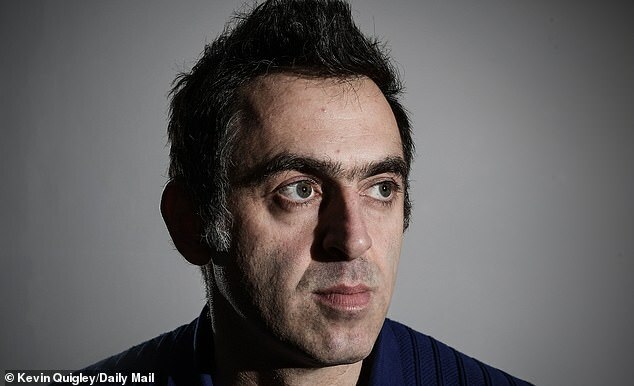 Ronnie O’Sullivan is usually his own harshest critic. But the tortured king of snooker seems less tormented nowadays, with the pursuit of perfection not as painful as it was. 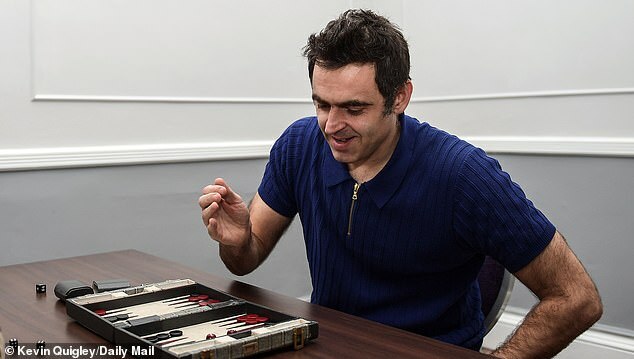 It is refreshing to hear O’Sullivan, 43, who is normally quicker to praise his contemporaries, speak about those moments when he is at the top of his game. ‘It’s fantastic! There is no better feeling,’ he says. ‘I feel like I have an answer for anything that my opponent might bring to the table — whether that’s good safety, or good break-building, or good potting. ‘I just know that they have to continue doing what they’re good at to a very high level for a very long time to have a chance to beat me. And they might beat me. But I’ll be coming for you the next week. At 17, O’Sullivan saw off Stephen Hendry to win the 1993 UK Championship, thanks to sublime talent and an infectious personality, and has dominated snooker for more than 25 years. ‘I’ve had to play different eras and players. Some players will come along for five years and everyone will be saying, “Oh they’re going to be great”. And then I’ll have to deal with them. ‘And then it will be another batch and then I’d have five years of them. And then another batch of players. Because they can’t sustain it. They can’t sustain it for 25 years. ‘I don’t think there’s any pro who has ever played in my era who can honestly say that they got the better of me, really,’ he says nonchalantly between sips of lemon and ginger tea. 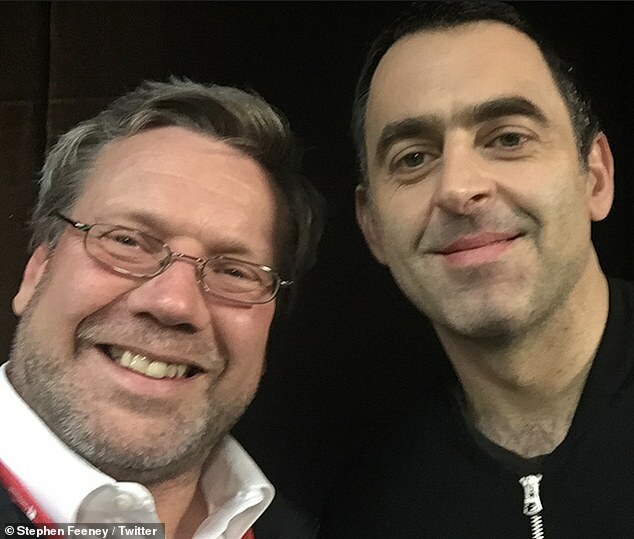 O’Sullivan, who watched and learned as heroes such as Jimmy White, Steve Davis and Hendry became opponents, had a close eye on Mark Williams last year. 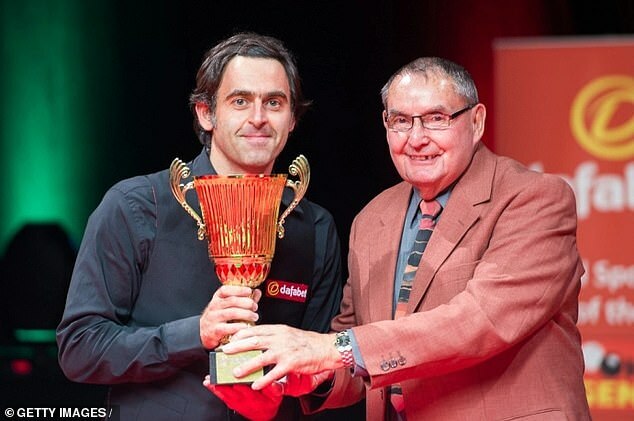 Aged 43, the Welshman won his third World Championship in May, 15 years after his last Crucible victory. Williams credited Steve Feeney’s SightRight stable with advances in his game and this was not lost on O’Sullivan, who joined the programme in July. 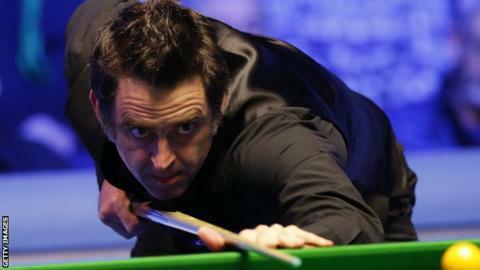 ‘I noticed Mark had got more compact and that was a consequence of changing his alignment,’ says O’Sullivan. ‘I was always interested in someone who can compact everything that they can do. When I’m playing my best I feel compact and tight so I thought I would give it a go. ‘I knew I needed to do something. I didn’t want to carry on playing as I was last season. ‘It was like learning a new language. He gave me solidness, if you like. I’m not a better player. I don’t believe you can improve as a player. I think once you get to 21, 22 you’re as good as you’re ever going to be. 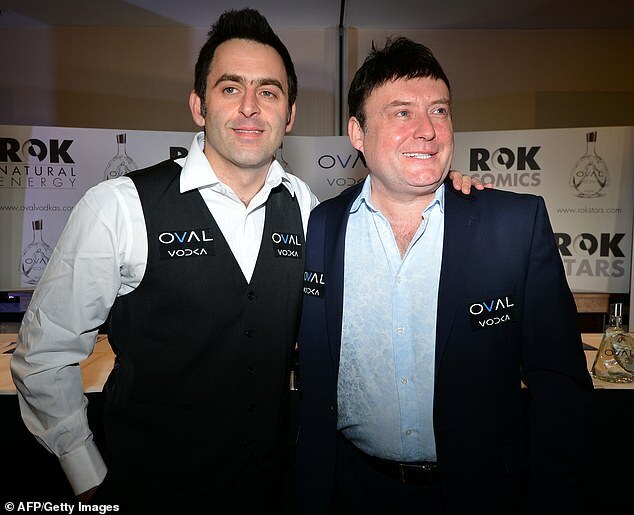 O’Sullivan credits Ray Reardon with improving his safety game, and his union with psychiatrist Steve Peters helped challenge his mental demons. 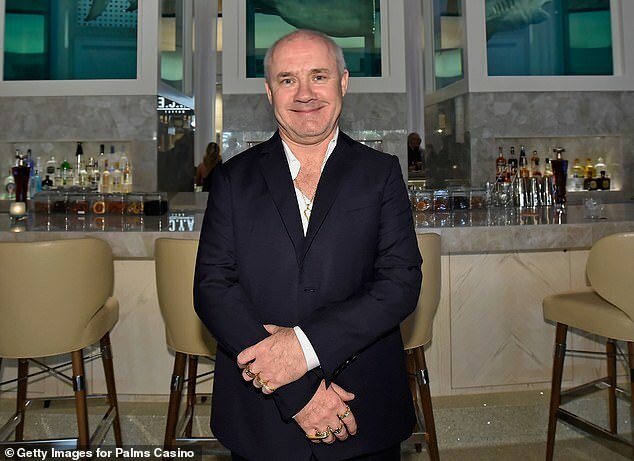 Away from the table, nutritionist Rhiannon Lambert changed his attitude to food, and artist Damien Hirst is a regular in his dressing room. ‘I’m lucky, I’ve got some good friends,’ he says. ‘And some great people who have become friends. My friends are people who want nothing from me — even with Steve Peters. The wild nights out are long gone in favour of quiet nights in. O’Sullivan, who has written three fiction books and has his own cookery book published in May, is reading about Genghis Khan and is a Netflix aficionado. But O’Sullivan, nimble of body and inquisitive of mind, is looking for new pastimes. ‘I’m going to go into karting,’ he says. ‘I’ve got my first testing after the Masters. They do four five-hour races. Three drivers. ‘You do the pole position — all that sort of thing. You start at eight in the morning and finish at five at night. So I thought, yeah that’ll do me. Once a month, something like that. O’Sullivan won the UK Championship last month, becoming the first player to win 19 Triple Crown events, overtaking Hendry in the process. With the Masters — a tournament he has won seven times with three victories in the past five years — starting on Sunday, O’Sullivan faces 2015 world champion Stuart Bingham in the first round on Monday. How has he been preparing? ‘I don’t actually prepare for one tournament in a certain way. I just kind of play,’ he says. O’Sullivan will be analysing his competitors for Eurosport during the competition. He provides sharp insight and has learned a thing or two. And although he believes that his form over the past six or seven years has been something near his best, how long can he go on? ‘Whatever sport or business you’re in, you’re always looking around at your competitors,’ he says. ‘Is anyone doing anything better than you and can you learn from them? I don’t really see anybody tearing it up, really. ‘It’s kind of giving me a little more belief that I can play a bit longer than I thought I could. I think 50 would be the minimum. Competing and still winning tournaments. Ronnie has also been on twitter, yesterday and the day before for the first time this year. He’s considering doing some podcasts and pointed his fans to this video by Eurosport UK, recollecting some of his most remarkable moments at the Masters.